An adventure that eventually would lead to Natural Valley Ranch in Brownsburg, Indiana, started with a pair of red cowboy boots. 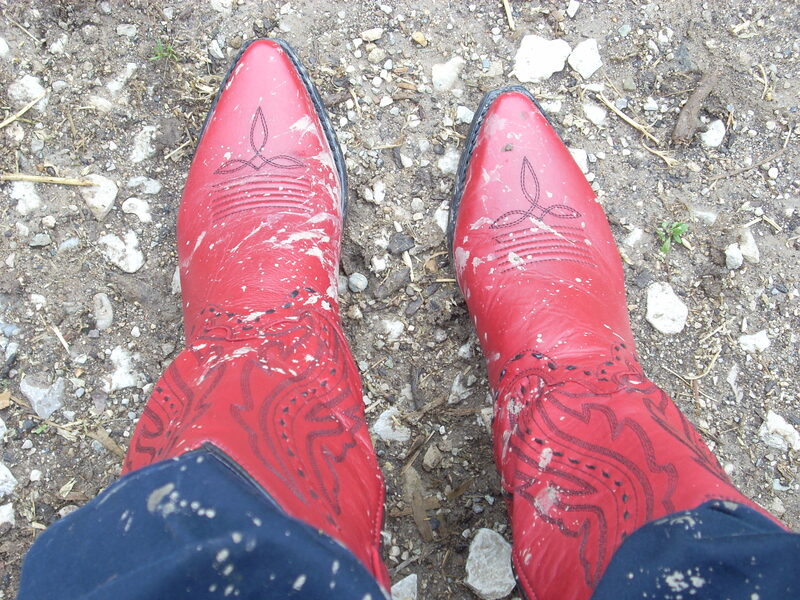 Several years ago, my son who lives in the Western U.S., noticed during my visits to him my admiration for cowboy boots, particularly red ones since that is my favorite color. He offered to buy some for me as a gift. I kept putting him off with the disclaimer, “They cost too much. Where would I wear them in Indiana? I live in town and don&apos;t own a horse!” This year for Mother’s Day he surprised me by mailing me a pair of gorgeous red cowboy boots with no warning. I should have protested (the protests have gotten weaker as I’ve gotten older). But since they were lovely (yes, cowboy boots can be lovely!) and fit (Thank you God! ), I graciously accepted them and wore them to church and to a party with a Wild West theme. It was fun though I still felt a little like an impostor. Imagine my excitement when I actually wore my gorgeous boots recently while horseback riding! 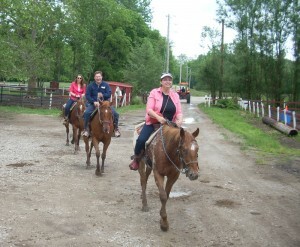 My husband, daughter and I booked a morning ride at Natural Valley Ranch. When I stepped out of my car wearing the boots and saw our guide Marie Damler wearing boots too, I felt at home. Marie’s quick smile put us at ease. After discovering we rode horses yearly on vacation, she gave us some directions about guiding our steeds. Then we walked our horses on a leisurely ride through Natural Valley Ranch which included a woods and luscious verdant fields filled with grasses and some wildflowers. The temps were perfect in the low 70s. Our horses were well-trained and cooperative. Having been on horses that did not respond well to directions, I was impressed. It had rained the night before so my boots became mud-spattered. At the end of the ride, they looked broken in properly, and I was so proud to look like a real cowboy! I even took a photo to send to my son! After the hour-long ride, Marie took us on a tour of her ranch that includes a picnic shelter next to a lovely pond. “It can be rented for weddings, birthday parties or receptions,” she said. It looked large enough to hold a crowd. What fun that would be to have a party here under the stars on a summer evening! Marie’s family is adding a lodge that looks lovely enough to live in! Natural Valley Ranch is a gem of Brownsburg that should not be missed. Riders of all ages and experience levels would feel comfortable on Marie’s horses. And you don’t even need red cowboy boots to enjoy the ride! Kayleen Reusser has written children’s books and Chicken Soup stories. She writes for newspapers. She loves to travel and write about her experiences at her website: www.KayleenR.com.